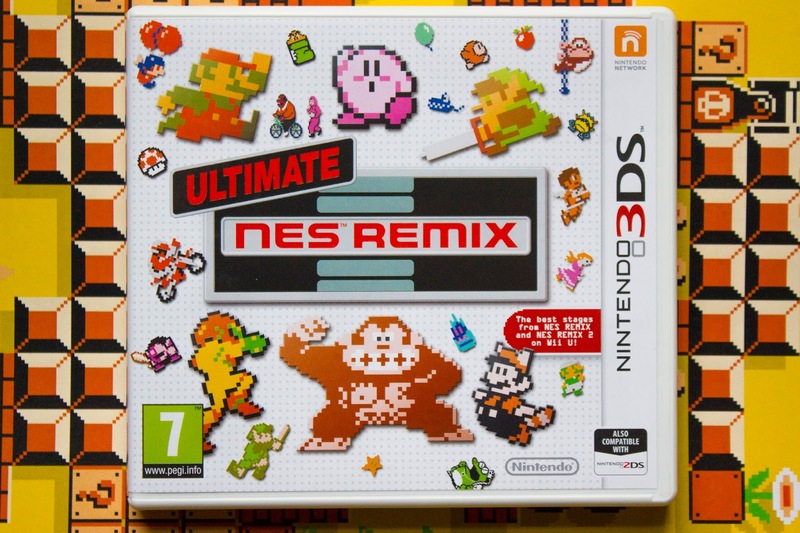 Ultimate NES Remix is a sort of 'best of' game that compiles some of the most iconic games that were included in the two NES Remix games for the Wii U. Although this game strips away a lot of the lesser known and less popular NES titles such as Golf, Urban Champion and Ice Hockey the game retains the NES Remix formula and brings it to an arguably more suitable platform, the Nintendo 3DS. 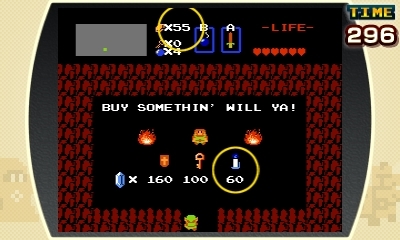 In Ultimate NES Remix you are tasked with completing game specific challenges against the clock; these start out very simple - for example stomping on a couple of Goombas in Super Mario Bros. - but soon grow into complex multi part challenges that teach you elaborate play techniques. 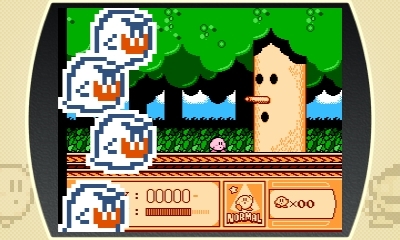 The quicker you complete a stage the more stars you earn, these stars unlock special remix stages that change up the gameplay in unique ways, one great example is the stage that splices the Boo enemies from Super Mario Bros. 3 with a boss fight in Kirby's Adventure. As a little added bonus Ultimate NES Remix includes Speed Mario Bros. which is the entirety of the original Super Mario Bros. but at twice the speed - insanely difficult it turns out! The game also comes with Championship Mode which emulated the Nintendo World Championship and tasks you with collecting coins in Super Mario Bros. and Super Mario Bros. 3 before trying to get a high score in Dr. Mario. The game acquaints you with the basic gameplay elements of a particular game and tasks you with completing a challenge as quickly as possible. As soon as you have learnt one gameplay element a new one is represented in the next stage. For me - as someone who didn't grow up with these games - this distillation of a game into bite sized parts allows me to more fully understand these games. Their physics and feel are so unlike anything released these days that it's hard to really understand them without actually playing them. Before playing Ultimate NES Remix I had not played half of the titles included and now, after 25 hours, I feel I know these games. There are games like Zelda II, Super Mario Bros. 2 (JP) and Mario Bros. that I dismissed before but now feel the urge to buy and play. The number of stages per game varies wildly. As mentioned above, each stage usually represents a new gameplay mechanic and so the more complex games tend to have more stages. The developer's couldn't have included more Donkey Kong and Donkey Jr. stages without retreading ground for instance. Although saying this there is an obvious tilt towards the original Super Mario Bros.. I came away feeling I knew that particular game very well but there were other games like Zelda II, Metroid and Kid Icarus that I felt could have been given more attention. Granted all 16 games feature in the remix stages but the lack of dedicated content for certain games seems a shame. An incredibly important element of this game is its leaderboards; every one of the 254 stages includes one, you can see where you rank against others on your friends list or against the entirety of your region. However, the greatest reason to visit a leaderboard is that it allows you to watch a replay of your best time as well as the top ten times in your region, this simple idea allows new players to learn exploits and gameplay techniques in order to achieve faster times. Trying to climb to the top of each leaderboard is incredibly addicting and the sense of satisfaction when you rank first place is unlike anything else... it really brought out the competitive side in me! The fact that there are 254 leadboards means that anyone, with enough effort, can top a leaderboard. As well as leaderboards each game also has a link to buy the full game on the Nintendo eShop making abundantly clear that this game - whilst fun in its own right - is an advertisement. For those who grew up during the NES era Ultimate NES Remix may not hold much interest, the remix stages aren't that different and a large portion of the challenges are over in less than 30 seconds. If you have played these games before Ultimate NES Remix may irk you but I personally had a great time with this game, I enjoyed replaying and replaying stages to try and climb the leaderboard, I enjoyed learning about these games and I enjoyed the variety on offer. I cannot recommend this game to everyone, but if like me you didn't grow up with these games there is a lot on offer here. It gave me a deeper appreciation of the NES era and allowed me to try out games I might not have played otherwise. 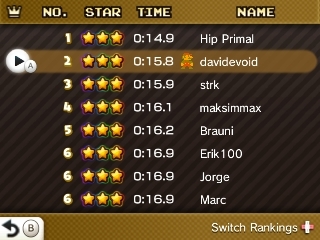 The game gave me a deeper respect for speed runners, watching replays on the leaderboard teaches you exploits that speed runners have been using for years. Being able to put these techniques into practice seconds later is always fun and gives the player a sense of creativity and experimentation with a game's mechanics. Ultimate NES Remix also made me a much better Super Mario Bros. player, in the past I was terrible at the game but after playing through this I can complete the entire game in one sitting... and for that I say thank you! The game is incredibly fun in short bursts and is a perfect fit for the 3DS system. The games on offer represent some of the absolute best NES games of all time; being able to play them in short bursts and more fully understand them through watching replays is great. The leaderboards add a healthy sense of competition but also make learning the games fun as you watch replays and take notes. The game is not for everyone and the number of challenges per game may seem unbalanced but it's just too much fun to simply ignore. P.S: My friend code (FC) is 0877-2242-2091, post yours below and we can trade times!